Bret Hart net worth stands at $14 million. Bret is a Canadian writer, a retired professional wrestler and an actor. He is currently in a Legends contract with WWE. He is from a wrestling family and he even participated in wrestling competitions back in high school (Ernest Manning High School). 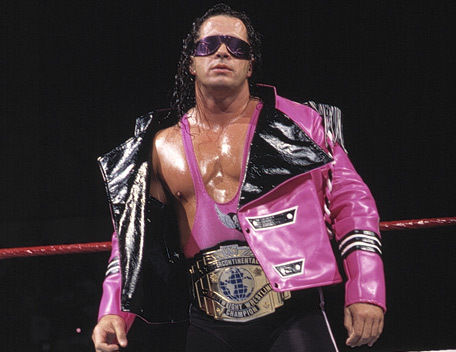 His fans and lovers christened him the Pink and Black Attack, which he used as a signature for his rig attire and his sunglasses that he used to give to his young fans before a match. Bret Hart was born on July 2nd 1957 in Canada in the United States. His father Stu Hart owned a wrestling promotion, the Stampede Wrestling, where he helped his father with non-wrestling duties in 1976. Bret Hart made his debut in the ring in 1978. He experienced championship success and popularity in the 1980s and later in the 1990s in WWF (World Wrestling Federation) which was later renamed WWE. He later moved to WCW where he still enjoyed fame and maintained his champion status until when he retired following a concussion in 1999. He completely retired in 2000. The below financial data is gathered and compiled by TheRichest analysts team to give you a better understanding of Bret Hart Net Worth by breaking down the most relevant financial events such as yearly salaries, contracts, earn outs, endorsements, stock ownership and much more.